The Tepaneca tribe of Aztec/Nahua migrants arrived in the Valley of Mexico in the thirteenth century, and took over cities such as Azcapotzalco from the native inhabitants. Becoming one of the most powerful cities under Tezozomoctli to the point that it dominated Tenochtitlan, the eventual seat of the Aztec emperors, the city set about creating new colonies or taking over existing cities throughout the region. 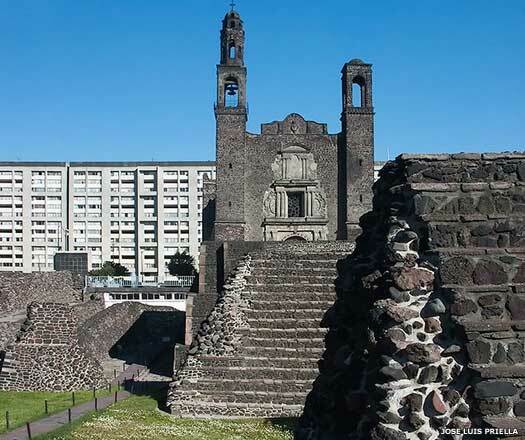 Tlatelolco was founded around 1372 by Tezozomoctli when he installed one of his sons as its ruler. Another son was installed as the ruler of Atlacuihuayan. Tlatelolco became the sister city of Tenochtitlan, but despite the closeness in relations, it was still conquered by its bigger and far more powerful neighbour. In the same year that Acamapichtli is offered the throne of Tenochtitlan, Tlatelolco also selects an outsider to take its throne. Son of Tezozomoctli of Azcapotzalco. Son. Killed by the Acolhua. Following the long reign and death of Tezozomoctli of Azcapotzalco, he is succeeded by another son, Tayatzin. However, Maxtla of Tepanec, the older half-brother of Tayatzin, soon incites a rebellion among Azcapotzalco's nobles and usurps the throne. Chimalpopoca of Tenochtitlan allies himself with Tayatzin, and the two conspire to retake the throne and kill Maxtla. In the end, Tayatzin is killed and Maxtla secures his hold over Azcapotzalco. This means that he is also Atlacuihuayan's new overlord, although Tlatelolco seems to escape this fate. The Azcapotzalco title, Tepaneca tecuhtli, 'Lord of the Tepanecs', is inherited by Totoquilhuaztli of Tlacopan. With the defeat of Maxtla the following year by the Triple Alliance under the new ruler of Tenochtitlan, Itzcoatl, Azcapotzalco is incorporated within the Aztec empire. The fate of Atlacuihuayan is not known but it has to be assumed that it too is incorporated into the empire. Moquihuix is installed as the new ruler by Moctezuma of Tenochtitlan. Killed by Axayacatl of Tenochtitlan. Moquihuix is determined to end the twin cities arrangement with Tenochtitlan, so the city is subjugated by the Aztec emperor, Axayacatl. Moquihuix is killed and a military governor is placed in charge, causing long-lasting ill-will on the part of the populace. Tlatelolco is conquered by the Spanish and is soon incorporated into the colonial administrative region of New Spain which is initially governed from the former Aztec Mexico City. Following Cortes' destruction of the Aztec empire, a series of Latinised members of the previous ruling elite were appointed to govern the outlying areas of Tenochtitlan. Spanish central control was soon formalised, however, with the creation of New Spain in the Americas. Miguel García Oquiztzin is the last local ruler of the city within the viceroyalty of New Spain.